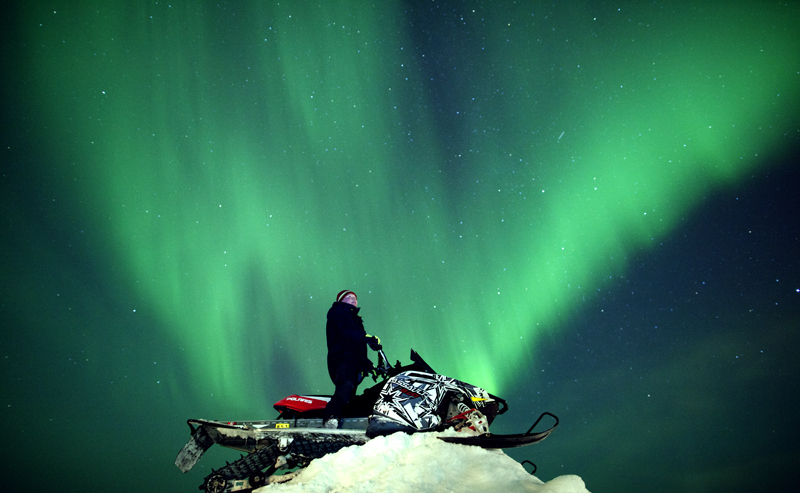 A recent eruption on the surface of the sun produced the most powerful solar radiation storm since 2003, creating spectacular auroras across the northern hemisphere last week. On Jan. 23, the surface of the sun erupted in a powerful, M8.7 class solar flare, according to the NASA Solar Dynamics Observatory. 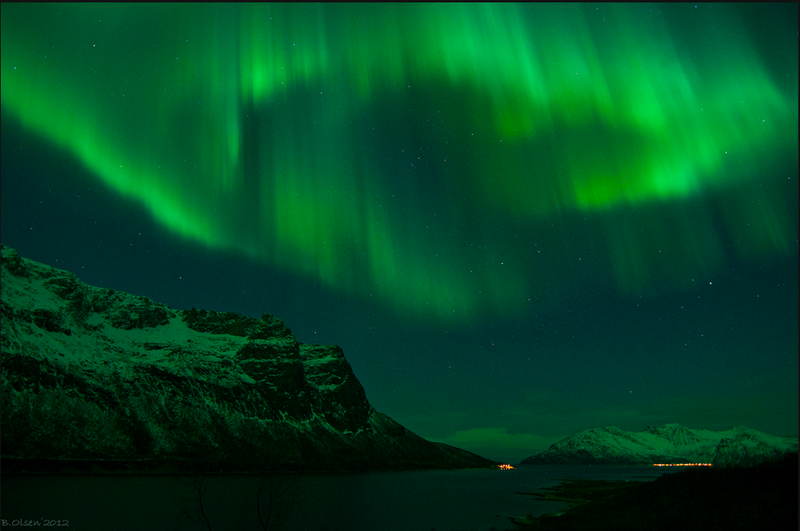 The explosion produced a coronal mass ejection (CME) of high-energy protons. The energy from the explosion reached Earth as a class S3 solar radiation storm and G1 geomagnetic storm on Jan. 23 and 24, according to the National Weather Service’s Space Weather Prediction Center. 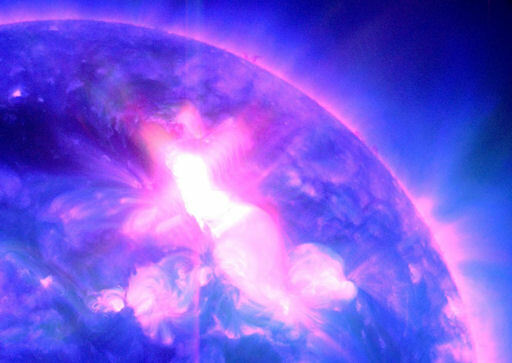 The ultra-violet photo below (courtesy of NASA’s SDO) shows the Jan. 23 eruption of solar spot 1402. Monday’s solar storm came on the back of an earlier, smaller M2 class solar flare that occurred on Jan. 19. According to University of Michigan space weather expert Tamas Gombosi, the increase in solar activity is likely to continue as the solar cycle increases, reaching its peak in 2013. This surge in solar activity is timed perfectly with new scientific interest in sun observation. In February 2010, NASA launched the Solar Dynamics Observatory as part of their Living With a Star program to closely monitor sun activity. According to Sdo.gsfc.nasa.gov, the SDO’s mission is to “understand the causes of solar variability and its impacts on Earth.” In addition to NASA efforts, new technological vigilance on the part of the American National Oceanic and Atmospheric Administration’s Space Weather Prediction Center of Boulder, Colorado allows scientists to predict when radiation from a CME will interact with Earth’s magnetic field to within minutes. As our most important star moves into a new period of productivity, observers can hope to see more beautiful auroras in the upcoming months. With new technological efforts, scientists can monitor solar flares and geomagnetic storms occurring on the surface of the sun and predict when their radiation will reach Earth. Interested aurora-watchers should frequent the SDO and SWPC websites for breaking information about evolving solar activity.